All this makes a fine story, except the truth probably isn’t as alluring as the legend. 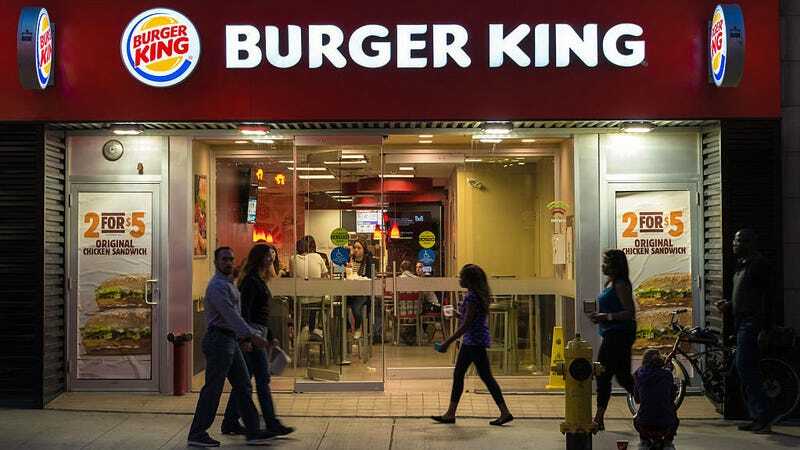 A Burger King spokesman told the station that the woman was an off-duty employee who jumped in to help ease the long wait. Which makes her The Takeout’s Employee of the Month—except Burger King decided to fire both the off-duty employee and a team member for “violating... company policy.” This is how your reward your employees for their gumption and work ethic? That’s cold, BK. What’s the best oil for different sauté needs? Should you ever wash sharp knives in the dishwasher? Why&apos;s Everybody So Pissed About Twitter, and Should I Care?